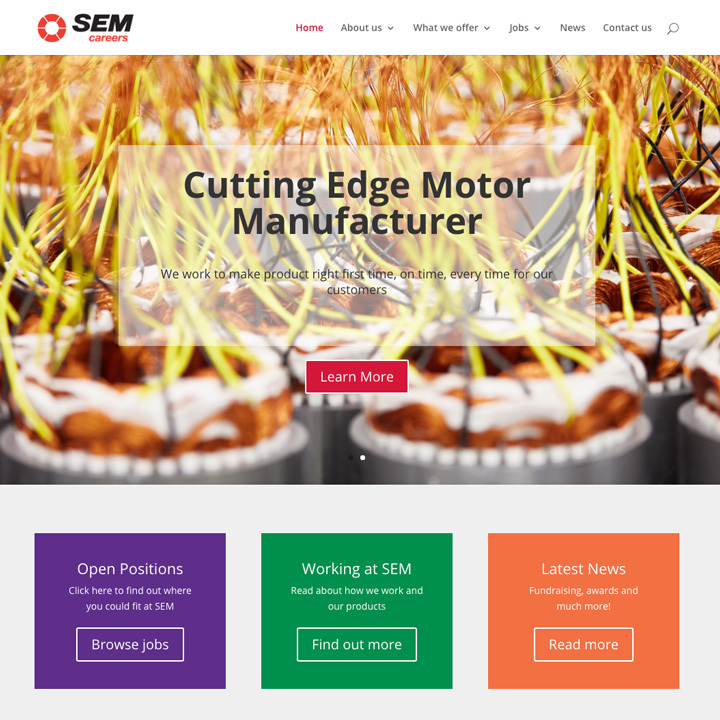 Established in 1914, SEM (Small Electric Motors) Limited is a cutting-edge motor manufacturer based in Dartford just outside London. The company has a high-tech factory using innovative manufacturing techniques and felt that their existing site was not doing a good job of conveying the company’s work environment and philosophy to potential employees. To this end they wished to create a recruitment site which would give the HR department the ability to sell the company and advertise new positions. The site was built in WordPress with a mobile-first design. A custom post type was created to handle the job listings, with a custom form created for job applications, pre-filled for the job being applied for. 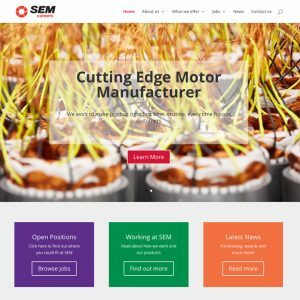 The site was designed to give the maximum level of control to the site manager, with an easy to use page builder to add sophisticated modules to the page from the WordPress editor without using shortcodes or HTML. The use of a custom post type for jobs was designed to make the processing of listing positions as simple as possible. In addition, an SSL certificate was installed to ensure privacy for applicants.